All students and staff of the ID department are kindly invited to the first OPENDAY@ConceptLab on the occasion of the official opening of the ConceptLab on November 12th, Friday 2010. The Conceptlab is the most recent addition to the d.search labs of the department and this is a perfect opportunity to learn more about it or to simply satisfy your curiosity. Join one of the sessions in which we demonstrate key functionalities offered in the ConceptLab. Keep an eye on our “Events” page for up-to-date information about the program. Attending to The 2nd International DESIRE Summer School on 19-25 September, 2010 in Aveiro, Portugal. 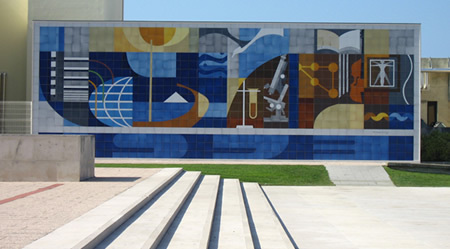 Jean-Bernard, Berke, Derya and Javier was attending to “Models of Creative Design” For Innovation in Science and Technology at Aveiro, Portugal. 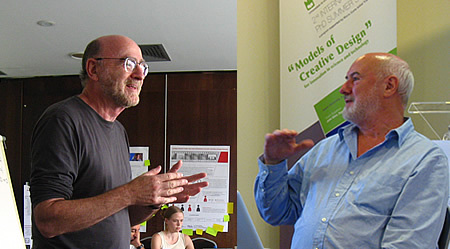 “Models of Creative Design” 2010 is the second of two summer schools proposed as part of the DESIRE: “Creative Design for Innovation in Science and Technology,” Programme of Marie Curie Initial Training Network. DESIRE aims to establish an interdisciplinary network of researchers investigating creative design in various applied domains, including interaction design, industrial design, and arts design. It was promoted by seven partners: Copenhagen Business School, Eindhoven University of Technology, Lancaster University (coordinator), The Portuguese Catholic University, University of Aveiro, University of Milan and Philips Research. The 2010 summer school was built on grounding creativity theory, analysis and modelling creative processes in design and innovation. Industrial, artistic, and collaborative design is explored from the perspective of the user, the cognitive scientist, the software engineer, and the interaction scholars as well as the designer. Several aspects of creative design, such as: design cognition models; design processing; computer supported collaborative design, creative digital interaction and qualitative analysis; is examined.